From Mediaite: The Carnival cruise ship that suffered a fire and was stranded at sea finally reached land in Alabama yesterday. The media’s constant coverage of it, however, sparked controversy: Mediaite reports, “Some media critics have accused CNN of devoting outsize coverage to a disabled cruise ship which was towed into port yesterday. On Thursday night, while interviewing passengers as they disembarked the sewage-laden ship, one CNN anchor addressed the criticisms and defended the network’s coverage. 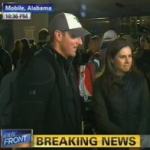 Another CNN reporter than immediately asked a passenger if he thought his experience on board the ship was akin to the experience of New Orleans residents in the wake of Hurricane Katrina. The passenger dismissed the reporter’s premise saying that there was no comparison.” Read on here. 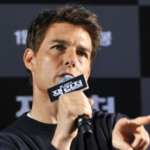 From Gossip Cop: One celebrity is pushing back against the paparazzi and tabloids, Gossip Cop reports: “The legal battle between Tom Cruise and Life & Style is heating up. As Gossip Cop previously reported, the actor slapped the tabloid with a $50 million lawsuit in October after it published a July cover story falsely claiming he ‘abandoned’ daughter Suri. Now both sides are trying to uncover potentially damaging information about the other, with Cruise wanting to know the identity of Life & Style’s sources, and the magazine requesting personal details about his divorce from Katie Holmes, such as how often he was in contact with their daughter after the breakup. Life & Style’s parent company, Bauer Media, is also seeking info regarding Cruise’s visitation schedule with Suri, whether Scientology played a role in the agreement, and Suri’s ‘mental and emotional state’ following her parents’ split.” Read the whole story here. From Geekosystem: If you grew up watching Sesame Street, listen to this news from Geekosystem and get excited: “The world is a better place because of Sesame Street. It’s one of the most popular children’s television shows of all time. It also has a huge number of YouTube views. 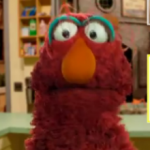 As of 1:26 pm today, the Sesame Street YouTube channel had 978,247,378 views, but 978,247,378 million views isn’t cool. You know what’s cool? A billion views. That’s the goal Sesame Street set for itself, and they’ve released a new video featuring Telly, who is the best, to help spread the word that when they hit one billion views they’ll release a “Top Secret” video. To help get themselves over that billion view hump, Sesame Street has released [a] video where Telly gets very excited about a top secret video.” Watch that video here. 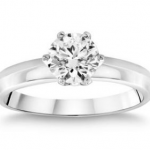 F rom Styleite: Do you know anyone who got engaged yesterday? What was their ring like? Today, Styleite is reporting on an engagement ring battle between CostCo and Tiffany’s: “Tiffany & Co. filed a lawsuit in Manhattan federal court against Costco yesterday alleging that the discount chain sold “hundreds if not thousands” of incorrectly labeled Tiffany diamond rings for years before its cover was blown in 2012. According to court papers, an unidentified customer was shopping at a Costco store in Huntington Beach, California in November when she spotted rings that were labeled as ‘Tiffany.’ She tipped off Tiffany, who then launched an investigation and discovered that Costco was selling several different types of rings that were wrongly identified as Tiffany, and has been doing so for years.” Read more about it here. From SportsGrid: Last night, the Los Angeles Lakers lost to the Los Angeles Clippers. After the game, Lakers player Dwight Howard was seen smiling. Accordingly, sports fans everywhere freaked out. Today, SportsGrid’s Matt Rudnitsky explains why this isn’t actually a big deal: “OK, now that you’ve freaked out, let us tell you: this isn’t actually a big deal… Check out the postgame handshake. 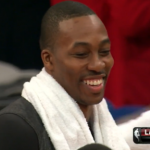 It looks like Jamal Crawford said something amusing, and Dwight Howard smiled. You know, Dwight, you can be our 12th man, if you’d like! Or something like that. Just some playful joshing… wight also seemed solemn enough in the postgame interview, so he deserves to get off easy, for once. There are so many things to call out Dwight Howard on. This shouldn’t be one of them.” Read the full story here. 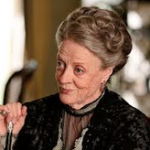 From The Mary Sue: “Hold onto your cane,” writes The Mary Sue, because Dame Maggie Smith, gem of Downton Abbey, recently revealed that she has never actually watched the show. Further, she has proved once again she is not someone to be messed with. Says the site, “60 Minutes reporter Steve Kroft learned the hard way not to question Dame Maggie Smith. Which is problematic considering they were conducting an interview. Watch as she reveals she’s never actually watched the popular British drama she stars in and Kroft’s attempt to almost scold her on it. BIG mistake.” Watch the video of the revelation and scolding here. From The Jane Dough: In case you didn’t think the internet was creepy enough, The Jane Dough has some news to bear in mind, writes Sarah Devlin: “Remember that Coke “security camera” Super Bowl commercial this year, whose premise was “Your every move is being watched, but look! Hugging!”? That, coupled with the latest news that Facebook tracks where users go on the internet even after they’ve logged off the site, for “security reasons,” is enough to make us develop more than a few fantasies about being stranded on a wireless signal and WiFi-less island, Robinson Crusoe style. From The Wall Street Journal: ‘Facebook on Monday defended its practice of gathering data from “Like” buttons even after users have logged out, saying that the collection is part of a system to prevent improper logins and that the information is quickly deleted not all of the data is logged….’ Um, that is terrifying.” Read more here. 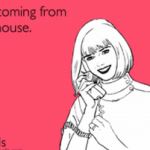 From The Braiser: How did you spend Valentine’s Day? Did you spend $595 at Per Se? Because some people did. The Braiser reports, “We sincerely and from the bottom of our hearts hope that you had the good sense not to make Valentine’s Day reservations in New York last night, because are those dinners ever not cheesy? No. But, if you’re nursing a champagne headache this morning and still feeling slightly nauseous after one too many Whitman’s Sampler bonbons, take comfort in this: you probably didn’t spend $595 per person at Per Se last night. There. Doesn’t that make you feel better? 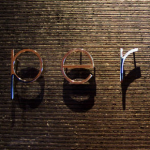 Yes, the Valentine’s Day chef’s tasting menu at Per Se cost the customary $295, “service included.” But, if you ordered every single supplement available (and, as we know, no truffle can be spared for love), your bill could have tipped out at $595.” Read all about it here.